3-Letter Monograms are a classic. That is all you would have to tell me to make me want to try non-traditional variations. When creating a 3-Letter monogram, my goal was to come up with something simple, elegant and contemporary. 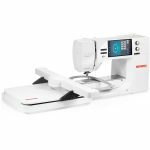 With BERNINA Toolbox Software that is not only possible, but very simple. 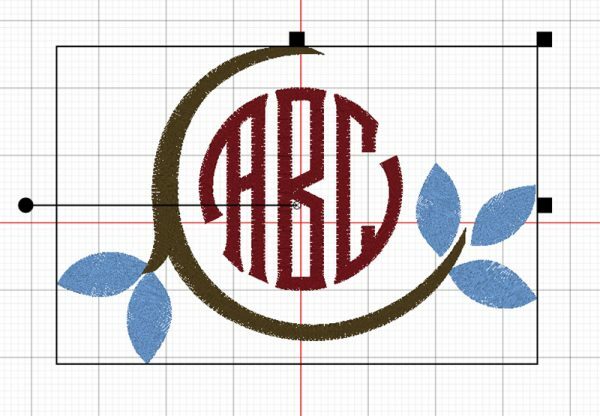 To get my monogram designed, all I need is the Monogram Tool in Toolbox where I quickly put together a monogram with 3 letters. For general instructions on how to set up your workspace in your Toolbox software (hoop, template, origin lines, etc. 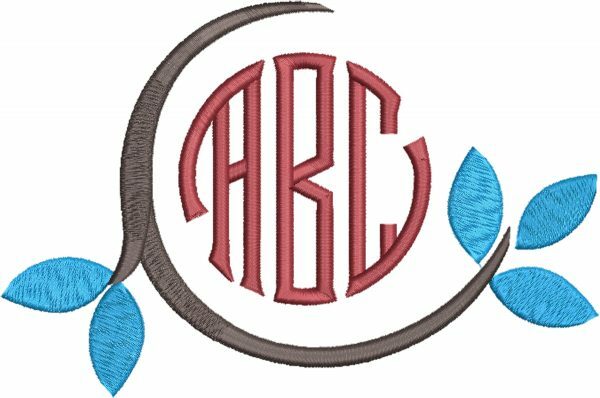 ), please refer to the Life’s a Beach blog: Creating an Embroidery Motif with BERNINA Toolbox Software. Chose an alphabet style that works well with your actual letters. Some letters may be closed on one side and open on the other (e.g. C). This can affect how a monogram forms up, closed or open. When adding a decoration, it adds to the final size of the monogram, including the spacing between decoration and the letters. 3 and 2-Letter monograms are classic. 1-Letter monogram have maximum punch! Finally: there’s only one way to make the perfect monogram for your personal style and letter combination: play with your Toolbox. It’s easy to try out variations and there’s only three steps to creating a monogram. Open your Toolbox software and 3… 2… 1… Go! Type the letters A, B and C (or initials of your choice). Set the Height of the letter to 3 inches. That’s it! 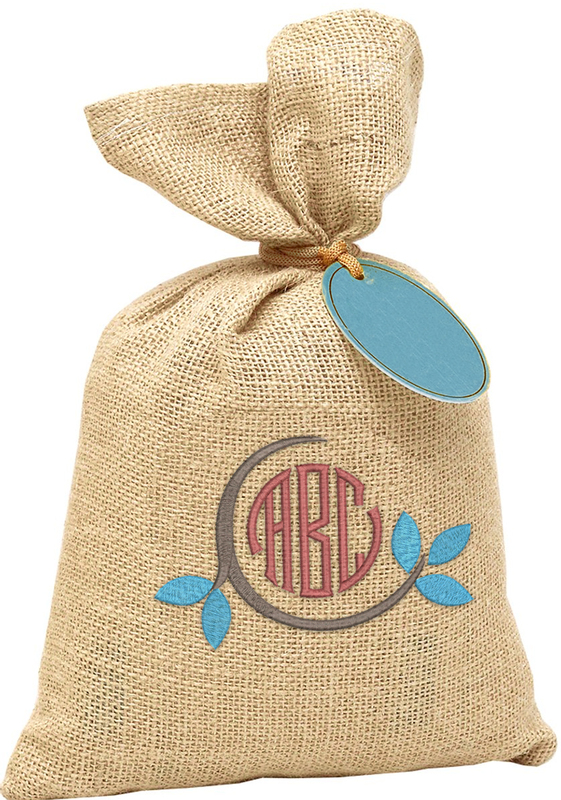 You now have a 3-Letter monogram… with decoration. Time to Stitch it out! 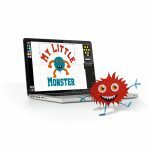 What stabilizer did you use? 3. Fabric base on which the design is stitched. For this project, I used two layers of OESD Ultra Clean & Tear since the monogram was not too large. Note that if a project is to be washed, any tear-away stabilizer will disintegrate in the wash. In such a case I would opt for a cut-away (medium or heavy). here’s a YouTube playlist for our V8 series of videos. Hopefully you’ll find ideas to help with your projects.